Date : 30th—31st October 2018. 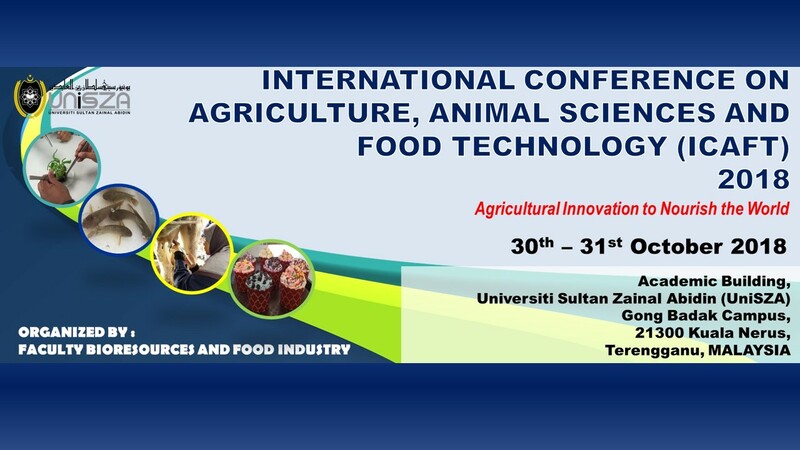 This 2-day conference will address the latest research findings in various fields (Agriculture; Agribusiness; Biotechnology; Animal Sciences; Aquatic Sciences; Food Technology; Food Sciences; Nutrition). ICAF 2018 will be the platform for researchers and expert to present their research findings via the plenary session, oral and poster presentation session, as well as panel discussion related to the fields. Plenary sessions and discussion will be delivered by renowned experts from local and abroad. ICAF 2018 provides an opportunity for academics, researchers, entrepreneurs, policy makers, local and international experts to share experience and build networks in the field of agriculture, animal science, and food technology. The conference organizer cordially invites academics, practitioners, scholars, researchers, policy makers of any government to present their papers in ICAFT 2018. We also welcome and encourage postgraduate students to present their research proposal, literature review, findings or issues in this conference with the special registration fee. https://www.unisza.edu.my/icaft2018/. The submitted paper will be blind reviewed by two reviewers. Notification of acceptance will be emailed within 2 weeks of submission. Abstract submission date is by 30th June 2018. Further details can be obtained from the 1st Announcement in the website. Selected conference papers will be published in Special Issue Malaysian Journal of Fundamental and Applied Sciences (MJFAS), Index with ISI Web of Science or Journal of Agrobiotechnology (JAB), and in the Conference Proceedings with ISBN.